During 2017, Summit’s students jumped into the pool to swim over 13,500 laps. And, parents together with their families and friends rallied over $38,000 in support. All funds raised were used to renovate the Lower School’s Occupational Therapy space. This important related service is at work every day inside and outside of our classrooms for many of our students. Working with teachers, therapists observe how students use their environment and provide ways to improve students’ learning styles and academic performance. During lunch, conversations about food, manners, or sharing help students discover important self-help skills and social aspects about themselves. Out on the gym floor when students are participating in sports and learning about good sportsmanship, our therapists work through play to help students find balance with healthy and meaningful life activities. Helping students get in touch with themselves means that Summit students can become better motivated and be better self-advocates for themselves as they explore the world in new and different ways. Funds raised in 2017 are also supporting our expanded hands-on programming to develop home and career skills that are relevant to early adolescents. Summit’s goal is to help our students acquire the skills needed to think constructively, make sound decisions, solve problems, and manage resources as family and community members, consumers, and wage earners. By using process skills vs. just facts and figures, students will be introduced to a wide variety of essential skills from time management, table setting, wellness, self-image, cooking, career exploration, to clothing and money management, and so much more. Learning about home and career skills is where academics merge with real life – it’s never too early to get started. Art is a fundamental mainstay at Summit. Students and parents raised over $42,000 in 2016 to re-envision the Lower School Art Room, helping to nurture young minds, spark ideas, inspire self-expression, and raise achievement levels for Summit students. In 2015, the Lower School Science Room was renovated from floor to ceiling with new science furniture, fittings, and fixings, thanks to our students who raised over $40,000 in funds and in-kind contributions. 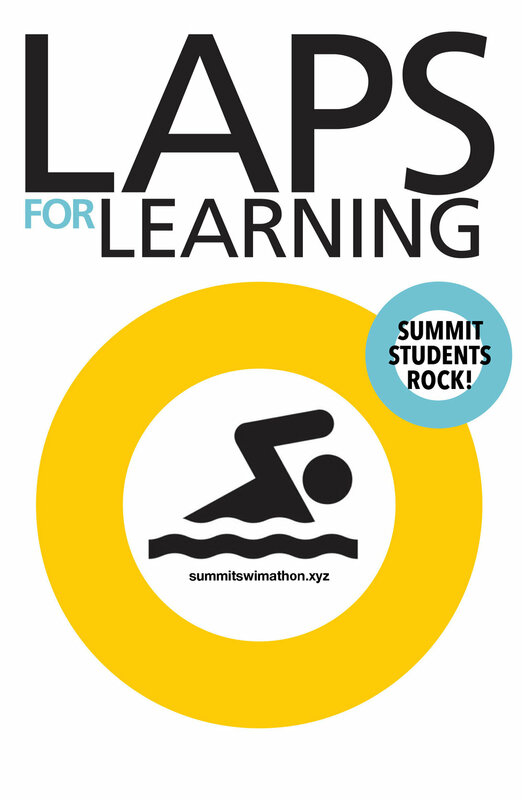 Summit students swam over 20,000 laps and raised over $26,000 in 2014 to help the school buy new laptops and related software to keep up with the fast pace of technology. In 2013, students raised over $30,000 in funds and in-kind contributions to renovate the pool locker rooms. The 2012 Laps for Learning initiative raised over $30,000 for interactive and collaborative learning technology in the Lower School. The 2011 Laps for Laptops initiative involved more than 100 students whose athletic efforts helped to raise $33,000 towards the purchase of 50 new laptops for mobile learning. In 2010, more than $40,000 was contributed to support the Lower School Yard Project. In 2009, during our first Swim-A-Thon, Lower School students raised more than $15,000 to help renovate classrooms.